Ford and Hyundai Top Value Study - AutoNetTV Media, Inc.
Ford and Hyundai lead the world in a recent value study, surpassing all the Japanese automakers. 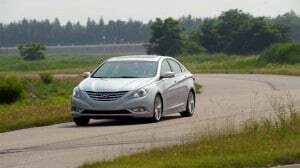 In fact, the 2011 Hyundai Sonata delivered the highest value score ever recorded. Check this out to learn more about differential service – you do have one, you know.